Bathrooms are a huge selling point when it comes to home sales. A large ensuite or a functional children’s bathroom can make or break the sale of a home, and planning your bath renovation to perfection can be a challenge. Before you start trying to pick finishes and colors, these tips on bathroom layout should be followed to make sure your bathroom is functional AND beautiful. It may seem elementary, but the bathroom should be planned much like a city. Do you have a small baby you will wash in the tub? Do you and your spouse prepare for work at the same time of day? Are messy children who need extra storage a factor? These are all questions that need answers when planning your bathroom infrastructure. The “Working Professionals” Bathroom – His and Her sinks are normally arranged in a row with shared counter space. If you have the floor space, consider splitting the sinks into two separate vanities on adjacent walls. This design helps to avoid bumping into each other. Furthermore, closets can be placed next to the vanities for easy accessibility to any items you may need to prepare for your day. The Kids Bathroom: From bath toys to a teenage girl’s hair products, children’s bathroom can get messy quickly. Including built in storage solutions means not having clutter spilling over countertops. These bathrooms are normally smaller, so the simple vanity, toilet, shower/tub combo is always a good option. The Easily Accessible Bathroom: For people who have a tough time getting into or out of the bath, consider installing a wet room. These installations are trending at the moment, and the price of installation can be manageable if you expand on a previously built-in shower tub. I don’t think anyone has ever asked a contractor, “Can we make this bathroom darker?” Lighting is key when it comes to your preparation space, and should be planned accordingly. There are different types of lighting in a bathroom, such as “functional, ambient, and accent.” A common mistake in lighting your bathroom is mirror and vanity lighting. To avoid shadows, overhead lighting is not recommended. The light should come from straight in front of you, level with your face, and be coming from multiple directions. This lighting technique is taken from makeup vanities from Hollywood and given a homier touch. Also, consider your natural lighting. Windows facing due east will receive direct sunlight in the morning, which might hamper morning routines. Alternatively, if you like to soak in the tub after work, a westward facing window could give you a glow while relaxing. It’s the antihero of the bathroom. No one likes to talk about it, but the funny thing is that the toilet often dictates much of your bathroom layout (for obvious sensory reasons). If you are building a new home or adding a bathroom, the conventional design suggests making the toilet the furthest fixture from the door, or in its own space altogether. Recommended distance from other fixtures or walls is 18”. When remodeling, unless absolutely necessary, leave the toilet where it is. The toilet is one of the most expensive and time-consuming moves of a bathroom remodel. Sometimes consider a silly afterthought, the door to a bathroom often becomes a huge problem in smaller spaces. Is it easy to get to the toilet/sink if the door opens inward? Does it obstruct the entrance to another room, such as an attached closet/separate storage space? If any of these becomes an issue, think of creative alternatives, such as a sliding door, or simply have the door swing outward if your home’s layout allows. When I was in college my friends and I viewed a house with a bathroom that was the only way from the living room to the kitchen. You walked in the front door to the living room, through the ONLY bathroom on the first floor, and into the kitchen. Come to find out, situations like this happen more often than you think. If you are adding onto your home, make sure that your bathroom is in a functional location. 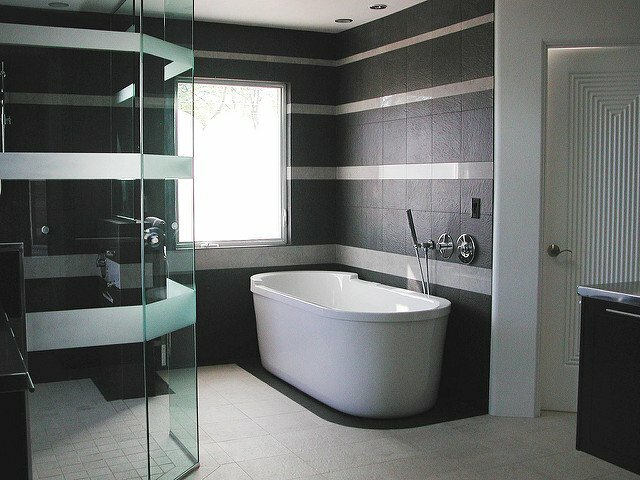 Bathrooms should never be the only entrance to another room, and should very rarely be in a high traffic area. For more information, StarCraft Home Builders have put together a comprehensive list of Illustrated Rules of Bathroom Design, including coding information. Give it a look by clicking here! I have a very small bathroom, I’m trying to renovate it by myself. I’ve brought up a antique dresser and use it for towels. I want to bring another antique dresser and put the sink into it and utilize as much of the dresser as possible. I don’t have a clue where to start, can you help me. I will be adding another bathroom down stairs if this one works. Definitely some great tips shared here. I agree that the bathroom entrance is key for a functional design ,as you don’t want to obstruct the accessibility of your bathroom. Lighting is a big deal when it comes to a bathrooms layout for sure. Great advice here for remodeling your most used spaces. These are very effective tips. We need to renovate our bathroom as like the modern bathroom. here is some modern bathroom expert guide you can read these expert guide. I think it will help you choose the best one.